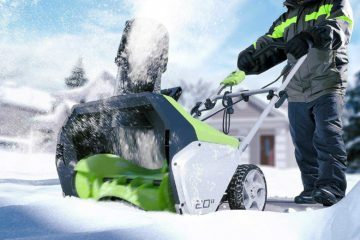 While Husqvarna isn’t the first name you think of when it comes to snowblowers, they’ve put together an impressive line of consumer options. The Husqvarna ST224P (model #961930122) is no exception. 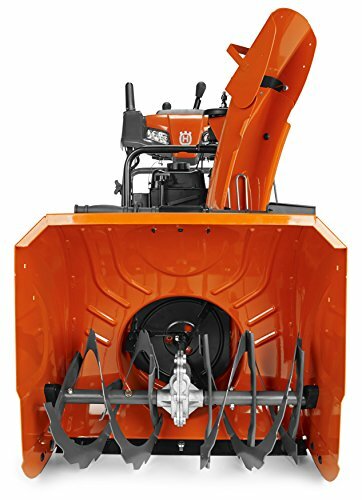 This 24-inch two-stage gas snow blower provides a nice mix of power, features, and reliability. A terrific choice for those in moderate snowfall areas with a standard 2-car driveway. A 208cc 4-cycle engine powers the ST224P and produces 6.3HP which is perfectly adequate enough for a compact two-stage. It should handle up to 14-16 inches of the light powder and around 10 inches of heavier snow. Any more than that and you might have to drop down a gear or make another pass over it. This engine does not require mixing oil and gas. Husqvarna snow blower engines are made by LCT (Liquid Combustion Technology). This is an American company, although the engines are manufactured overseas. This company makes engines for Ariens too. In my opinion, LCT is the best small engine maker around. They are reliable, fuel efficient, and quieter than competitors (this engine is rated 88.4dB(A)). 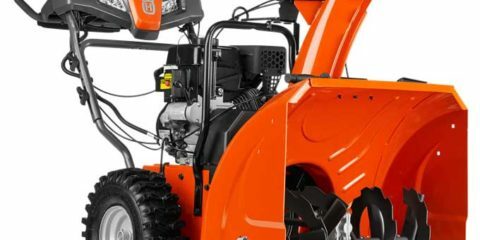 With a 24-inch clearing width and 23-inch depth, the Husqvarna ST 224P can kick out a lot of snow. 14-16 inches of light snow is the sweet spot here although I’ve heard it can handle up to almost 2 feet with drift cutters attached. The ribbon augers do a nice job of clearing down to the surface. A 12-inch steel auger helps chop through heavy and compacted snow efficiently. It’s one of the best in its class at clearing the end of driveway piles. Fluffy snow can be thrown 30 feet with ease. 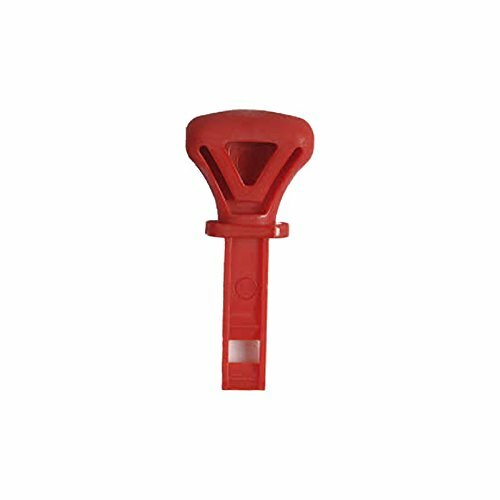 Adjusting the skid shoes allows for safe use on lawn, gravel, or block paving surfaces. The ST224P is self-propelled with 6 forward and 1 reverse speed . It’s easy to shift up and down while using with their trigger controls. My only gripe is having one reverse speed. It is really slow. If you do back out of spots a lot, this may end up being an annoyance. In fact, I think most people will just end up reversing manually. I’ve come across some people who run into problems with the speed control cable after a few years. It’s a cheap part (Part# 581124201) that isn’t too difficult to replace. You’ll notice the machine speeds getting slower and slower over time if this happens. Husqvarna may have fixed the issue over the past couple years. Since it is something that can take years to surface, I can’t know for sure. The 15-inch tires use over-sized X-trac heavy-duty tread. These provide incredible traction on ice. It works well on steep driveways and uneven surfaces. Handling on this unit is a dream. Husqvarna has included power steering which is not always a guarantee in this price range. Tight turns are easy to take and even smaller individuals should have no problem operating the machine. Controls for the steering are a small lever under the grips and can be activated with a finger. In fact, the entire single-hand control system is intuitive and feels great. One of my favorite setups in the industry once you get used to it. I’m a huge fan of the chute controls. A lever controls the side-to-side motion of the chute. It moves effortlessly which is a relief for anyone who’s dealt with stiff hand cranks in the past. Another lever allows you to raise or drop the discharge chute. This helps a lot on windy days from eating a face full of snow. Everything felt positioned right and you won’t have to slow down to change the direction of it. Perhaps the only thing they could have done is combine both levers. There are some extra features worth mentioning. The ST224P comes with an electric start for colder days (or if you don’t want to throw your shoulder out). They don’t provide an extension cord for this. Two LED headlights light the way when working in the dark. These could be a bit brighter in my opinion. Heated handlebars are a favorite feature of mine and are included with this model. Unfortunately, they don’t get warm enough. It’s tough to even tell if they’re on when wearing basic winter gloves. What Conditions is the Husqvarna ST224P Best for? This two-stage snow blower is perfect for your standard 2-car suburban driveway. Climates outside the snowbelt (meaning less than 70 inches of snow a year) are ideal. Storms of less than 16 inches should be fine. The only exception is for those in the New England area that get wetter snow. You may want to consider upgrading to the ST324P for more power. The Power Max 826 from Toro is also a fine choice with a more powerful engine. Husqvarna offers a 3-year limited warranty on this snow blower. The engine carries a 5-year warranty. When it comes to reliability, most of the Husqvarna parts hold up well. Their engines in particular are known for lasting a long time. This machine had an issue with the impeller belt breaking that was fixed in their 2015 model. Note that if you’re reading older reviews on this model. Husqvarna makes the exact same machine but without the power steering for a lower price (about $100). That model is listed as the ST224 (note the P is added for power steering). I’d recommend that to younger, physically fit individuals who would like to save some money. Otherwise, I think the extra cost for the power steering is worth it in the long run. Especially since this machine is a bit heavier and longer than most 24-inch models. The ST224P is a great snowblower. Good power, great handling, quality build, and a fair price. It’s on my list of best two stage snow blowers. You can’t go wrong here. 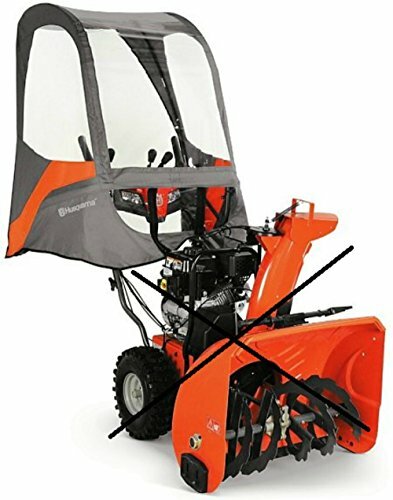 Handle up to 18 inches of snow with a high throwing capacity with this model. Friction disc transmission, power steering, and heated handlebars round out some impressive features.